Now that the laws have been in existence for some time and the question of esthetics has been resolved, the industry faces new problems in ADA signage. There has been a strong trend of companies manufacturing their own signs, trying to meet the terms of compliance while saving money and time. This dilutes the market for sign makers and creates more competition. Now, competition is not just coming from within the industry itself, but with customers who have decided to move into manufacturing their own signs. Further, there are some manufacturers that are skipping out on their distributors, preferring instead to sell directly to the public. Certainly, these new competitive angles create more availability but they also create more problems. Costs and turnaround times must be kept low; better materials must be offered. And relationships are suffering as a result. When it comes to self-manufacture, many customers do not realize they might be sacrificing their compliance. It is not easy to stay abreast of changes or additions to the laws; this is where dedicated sign manufacturers can regain customers. 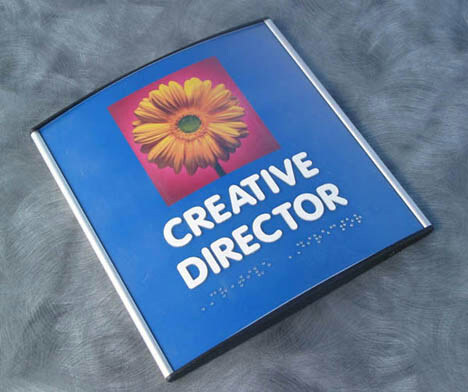 For example, a customer might be aware of the ADA regulations with regard to Braille and decide to manufacture their own Braille signs. But what that customer might not know is that proposed changes to the existing regulations are going to make “dome top” the only acceptable Braille signage. Ms. McDaniels explains. 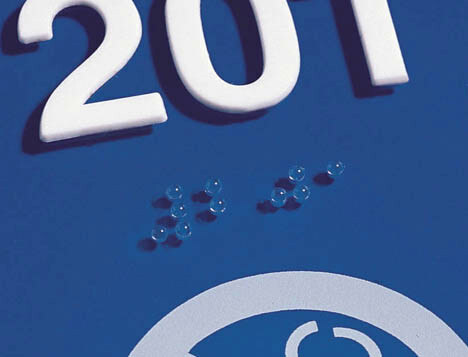 “Unless you are inserting a Braille sphere ­ we call them Brailledots or raster Braille ­ into the background, it is difficult to create a perfect dome.” Some states will let slight imperfections pass but others will be more stringent, which means additional time and materials to create perfect Braille, which means increased pricing, difficulty in the manufacturing process, and a decrease in the visual appeal of the sign. And that means customers could find themselves back where they started where compliance verses visual appeal is a concern, sacrificing one for the other. It is also important to offer variety, in terms of products and services. Show customers where they might be missing opportunities with their ADA signs and offer to help them grasp those opportunities. Ms. McDaniel offers an example. “If you have a current customer that is purchasing ‘Grand Opening’ banners, [upsell] a logo for their front entrance or an ‘OPEN’ sign for the window. That same Grand Opening customer may need signs to go inside their office, including signs that require ADA compliance.” This tends to be easier with existing customers; there is already an established relationship and a professional trust. They expect you to know the industry better than they do, so prove that you do by explaining what opportunities they might be missing and how seizing those opportunities can enhance their business. Attracting new business need not be a terrible task, though. Remember that old contacts often lead to new ones. Don’t be afraid to remind customers to recommend your services, especially if they are satisfied customers. That is a great way to make sure your name is out in the community and to keep that name attached to a strong, positive reputation. Recommendations mean a great deal; people trust each other and that trust can be extended to you. Look to technology; maintain an awareness of new developments and techniques. “Technology changes everything, even how we make signs and graphics,” Ms. McDaniels reminds us. “We [in the sign industry must] look to new solutions for existing products as well as trying to define what is needed in the market place.” Further, be aware of the target market and their current needs and use new technology information to sell target customers on new signage. 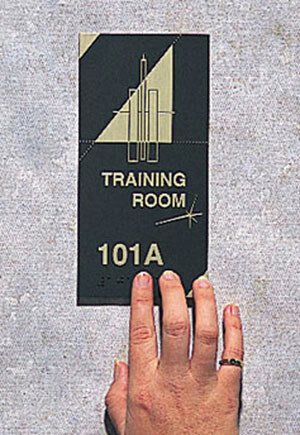 Many companies meet ADA compliance with engraved signs but that is not always the best way to go. Other materials, including photo polymer, zinc, and magnesium, result in signs that last longer, look better, and allow for more creative expression. But there are more costs involved in the manufacture of such signs, costs in labor, materials, equipment, and time, as well as an increase in what can go wrong. “Even shops that have [the right] type of equipment can sometimes go outside for the manufacturing and be more profitable,” says Ms. McDaniels.